There is a deep chasm that lies between being sent and being received. Like the Grand Canyon, there is a huge contrast between the surface, which presents an unbridgeable span, and the base or floor, which is narrow and winding, across which a bridge can be made. 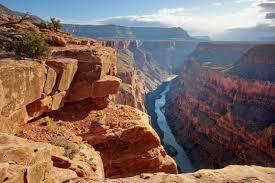 The visual metaphor of the Grand Canyon offers an image for an emotional and spiritual chasm within us. We find in the readings for Pentecost VI the echoes of that experience, an experience of the particular vulnerability we name as the unrequited. The unrequited spans the experience between being sent and being received. For some of us, most of the time, and for all of us, some of the time, the fear of feeling unrequited prevents us from taking the risks we need to take in order to plumb the depth of the chasm. For further down, near the fecund floor there is a span that is narrow enough to bridge our fear of emotional vulnerability lying between being sent and being received. Even God it seems has the experience of the unrequited. Time and again throughout the long history of a relationship with humanity, which for God appears to be a slow torture, the possibility of bridging the experience we name as unrequited is always held out as a possibility, a risk worth taking or in the memorable words of the divine Miss M: It’s the heart afraid of breaking, That never learns to dance. Whether they hear or refuse to hear (for they are a rebellious house), they shall know that there has been a prophet among them. Ezekiel, like all the prophets before and after is the one taken from among us, who embodies God’s risking – spanning the chasm of the unrequited in the relationship God invites us into and from which we pull back. In his second letter to the Christians at Corinth, a city that ranked among the big apples of the Graeco-Roman world, Paul wears upon his sleeve his unrequited experience. He plumbs the depths of this chasm to discover a space narrow enough to bridge the span. In the paradoxical relationship between weakness and strength, which at the surface of the chasm appear in their polarity to be so far apart, Paul discovers nearer the chasm floor, that they are more like the two sides of the same coin – strength is weakness and weakness is strength. This is quite a risk to take in a culture where it’s only strength, particularly the strength of authority and leadership that is respected. The human dilemma, then and now, is that we long for strong leadership when it’s leadership strong enough to show vulnerability we really are in need of. The nature of this vulnerability is to let others see that we too can be hurt and still continue onwards. It is Mark, who through the plain-speaking of his gospel offers us a glimpse of Jesus struggling with his experience of the unrequited. In the face of his neighbors insult to him: is not this the carpenter, the son of Mary …. and they took offense at him – Jesus is dumbfounded by – at a loss to explain their hostility. In Matthew the townsfolk exclaim: is this not Joseph’s son who’s mother is Mary? Matthew excises the reference to illegitimacy that Mark seems to feel is important to keep in. Yet, even in Matthew his neighbors take offense at him. Luke omits any reference to Jesus’ lineage, legitimate or otherwise, but has the townsfolk move beyond taking offense to attempting his murder. Jesus’ response to what must have been a deeply painful experience of the unrequited, is to send his disciples out into the world. He sends them out, in effect saying: go out and risk being vulnerable – take only a staff, no bread, no money, only sandals and one tunic, and go and stay where you are received and where not, take your leave shaking the dust from your feet. As he himself is doing, Jesus instructs his disciples to go out and risk being vulnerable, armed only with the message of healing for a world that is broken. Last night, I watched Bishop Michael Curry’s charge for the Episcopal Church to go out into the world with the message of the gospel as a healing for a world that is broken. Bishop Curry was elected in these last days as the next Presiding Bishop of the Episcopal Church. I then watched President Obama’s message of grace, amazing grace in a broken world, delivered at the funeral eulogy for the Rev. State Senator Clementa Pinckney. Viewing these two men, back to back on Youtube, each the first African American to hold their respective offices, brought home for me the reality that it is through our experience of vulnerability in the face of perceived weakness that makes us fearful of the chasm of the unrequited. Like, Ezekiel, Paul, and Jesus, I heard bishop and president find the courage to risk plumbing the depth of the chasm, to risk the experience of the unrequited, there to discover God’s bridging of the chasm, not at its wide surface but nearer the floor, which remember is often a long way down from our preference to loiter at the surface, fearfully fixed upon our own self-protection. 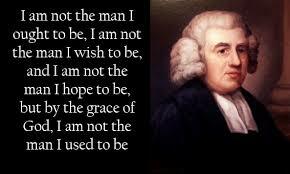 John Newton through his conversion and life-long repentance thereby embraced the call to live as one who is sent, regardless of the risk of not being received. For Barack Obama, in John Newton’s words there is clearly a personal poignancy combined with something Bishop Curry must also know well, the poignancy of being found by God despite rejection based on race. Bishop Curry cited Julia Ward Howe’s words in what has come to be known as the Battle Hymn of the Republic. He took poetic license with her lyrics in order to amplify the meaning of his charge to the Church to go forth in the faith: that as Jesus died to make men holy, let us live to make all free, while God is marching on. Whether it’s 1776, 1865, 1965, or 2015, the lesson of being sent and not received, which at each point is so painfully learned, seems to have to be relearned over and over again. Freud noted that what we can no longer remember we are destined to repeat. We’ve no less days to sing God’s praise than when we’d first begun.